To determine this, we should first have a look at the most straightforward example — accountability within a single team. 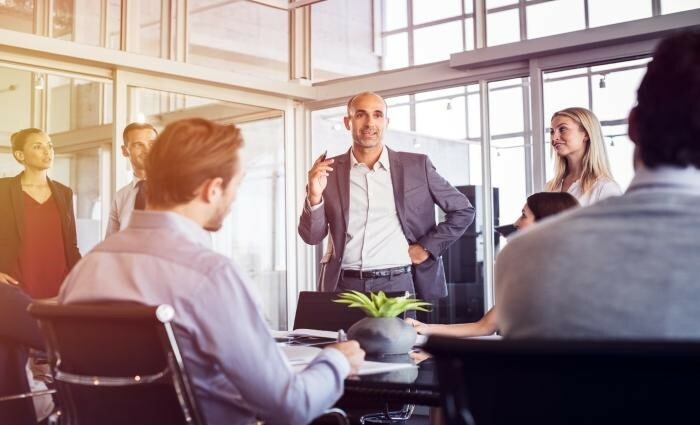 Every person on the team has separate accountability, as well as authority for the work that they need to do to complete the process successfully. If there are differences between the members of the team regarding the best way to move forward with a project, or if one team member is unable to do the work required of them, who’s the person that deals with this issue? The Effective Point of Accountability would be the manager of that team, as they would be the one who can decide to work differently and then direct the team members. Determining the Effective Point of Accountability for two different teams is where it can get a little more complicated. It will depend on the organizational structure. If we have two groups within the same department, that disagree in the hand-off between them, you need find the person with the authority to make decisions on how to work different and then direct that it happens. It would be a position of one level above the team managers who can decide and direct how work will take place in a process that goes across both of those functions. In some organizations, that might be the leader of the organization, depending on its size and structure. The most complex processes go across the entire organization. It is a frequent occurrence, and also the one that is difficult to get right. Unless the organizations correctly identify the Effective Point of Accountability, it can cause inefficiency in cross-functional work. In this case, the only person that can be the Effective Point of Accountability in organization-wide cross-functional work is the head of the organization. It might even be a small process to resolve, but there is no one manager between the groups and the head of the organization that has teh authority to decide and direct. In all of these cases, it’s crucial for the organization to identify the person that has the authority to change how work is done within a team or multiple teams if that becomes necessary. Cross-functional work can be challenging, so remember the key takeaway to get it right. Key Takeaway: To identify the Effective Point of Accountability for cross-functional work, you have to determine that individual within the organization who has the authority to both decide to do work differently and to direct people to work differently. Fellow Consultants – this is an opportunity to participate in a master class series of organization performance seminar-style webinars. Click above for registration options. 5 Requirements of Effective Managers, The Single Most Important Requirement for Managerial Success, Strategy Execution – How to Create a High Performance Culture, Where Does Accountability Come From?